Licensed counselors provide drug and alcohol screening and assessment to those seeking state-funded treatment for addiction. After-Hours Crisis Availability: Free confidential assistance available 24-hours/7 days per week. Substance Abuse Subtle Screening Inventory (SASSI): The SASSI evaluation serves to identify risk of addiction and is administered to those as required by the criminal justice system. 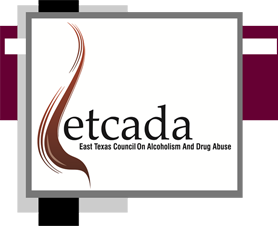 Using research-based curricula determined model or exemplary by the Center for Substance Abuse Prevention (CSAP), trained ETCADA staff facilitate 6 -10 week drug prevention programs designed to reduce the onset of the use of alcohol, tobacco and other drugs by youth. Teachers, Counselors and Administrators within our 23 counties can contact our office to arrange cost-free sessions for their school at no charge. The YPU program aims to influence all groups through evidenced based curricula to provide prevention education and skills training. The YPS program serves groups at greater risk of alcohol, tobacco and other drugs, utilizing evidence-based curricula to strengthen protective factors and deal effectively with risk factors in the lives of youth. The YPI program benefits those who are already showing signs of drug involvement or related risk factors, utilizing evidenced base curricula to strengthen protective factors and deal effectively with risk factors in the lives of youth. Family members may also be involved in these services. The program also provides crisis intervention services to participants and their families to intervene in situations which may or may not involve alcohol or drug use but may escalate if immediate attention is not provided. ETCADA hosts the PRC for Region 4 in Northeast Texas. Under the new HHSC funding requirements beginning in FY13-14, the PRC4 serves as the regional data collection and distribution entity engaged in assessing substance abuse risk and protective factors for the region. This involves seeking out data sources and trends in our local communities and working with other PRC Regions and DSHS to produce ongoing assessments of prevention needs. We conduct public education about data collection and trends and our team is available to speak at community health fairs, and other gatherings. PRC also coordinates related trainings for the region. Additionally, our PRC operates a comprehensive program of tobacco compliance checks throughout the region to 1) educate merchants that sell tobacco, 2) ensure they maintain compliance with state and federal laws addressing tobacco sales to minors, 3) do not sell to minors, 4) confirm that merchants display the required signage to alert the public about Texas tobacco laws. Further details are on the PRC website at www.prcfour.org. Our team of professionals work collaboratively with concerned and dedicated members of our local communities to create safe, healthy, drug-free communities. Prevention strategies are utilized to reduce the use of alcohol, tobacco, and other drugs among young people. Coalition networks provide linkages to social services. Our groups meet regularly and engage in activities that foster the development of health choices and drug resistant kids. You will see us at local health fairs, schools and where ever the community gathers for events. We conduct training on leadership and involvement in your community to eliminate illicit drug use. Our members have the opportunity to attend out of town trainings given by the state for youth to help them build the skills needed to lead their peers away from alcohol, tobacco and other drugs. Investing in and building a generation of drug free youth who will some day lead our communities is vital. Become a member, get involved and make a difference in your community. We are here to help you achieve a drug-free environment for your youth. ETCADA utilizes License Chemical Dependency Counselors (LCDC) to provide screenings and assessments for those seeking treatment for substance abuse disorders. LCDCs also conduct SASSI screenings, MIT, MIP and DWI Intervention services. ETCADA’s OSAR services are funded by Health and Human Services Commission (HHSC), private pay based on sliding fee scale, other community donations and the United Way. Substance Abuse Subtle Screening Inventory (SASSI) is a standardized screening tool generally required by the judicial system. This screening questionnaire is brief, accurate and provides a consistent substance abuse scoring measure. This free, confidential support group for women affected by alcohol and other substance abuse, seeks to help women heal from the impact of addiction in their families. Participants in this group learn about the effects of substance abuse disorders within their families, identify core family issues and helpful ways to address them, explore the differences between healthy and unhealthy relationships, sort out thoughts and feelings and become informed about available resources. The group gain strategies to relieve stress and the ability to move past shame and blame. They develop skills necessary to live peaceful and purposeful lives, outline steps to create a clear path for their personal success, cultivate more satisfying relationships and strengthen their ability to look at problems in a different light, with hope and confidence.